Remy Smartin’ in Boston Dailies? 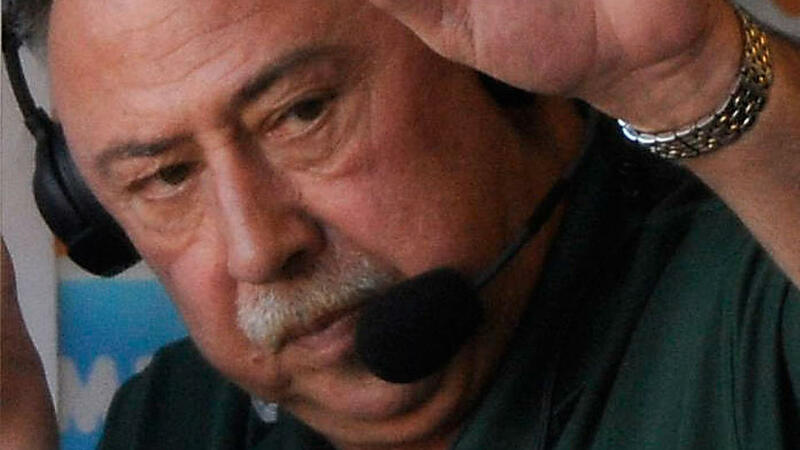 Jerry Remy? Jury’s still out. Start with Gerry Callahan’s full-throated support in today’s Boston Herald. At what point do you give up on a kid? When exactly do you throw up your hands, turn your back and walk away from your own child? Jerry and Phoebe Remy are the parents of a 35-year-old monster with a long history of hurting women — particularly pregnant ones — but they haven’t reached that point yet. Their son Jared is evil to the core, but they still visit him in jail. They presumably pay for his lawyers. They probably hope and pray he will once again come before a pliable Massachusetts judge and avoid the harshest penalties allowed by law. 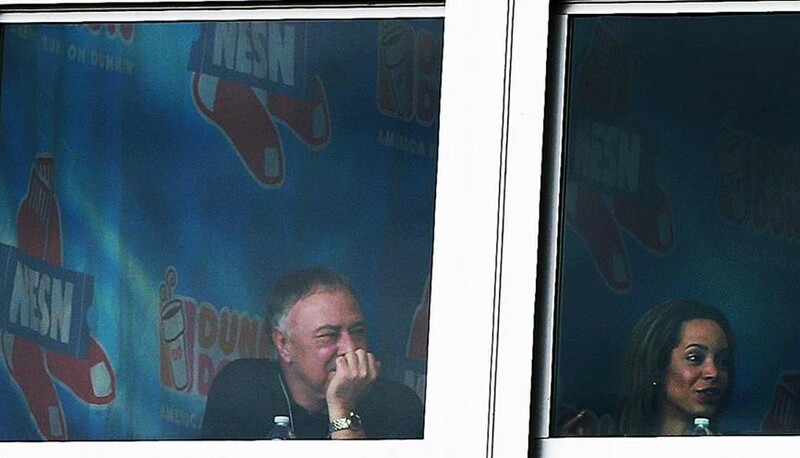 Somehow this doesn’t sit well with many Red Sox fans who think Jerry Remy should no longer be allowed to sit in the NESN booth with Don Orsillo and talk about baseball. [I]f Jerry Remy sold used cars, then maybe none of it would matter. The questionable decisions an employee makes with his own paycheck are usually his own business. I understand that when most people read the story of Jerry and Jared, they see an entitled, well-off sports celebrity gaming the legal system on behalf of his wild and dangerous son. I see something different: a complicated, confusing morass, of biblical pain inflicted on a family that wants to balance its love for a disturbed child against society’s legitimate expectations of personal safety. Jared is in jail, where he belongs. I’m sure his father and his family are living in a special kind of hell. If the sins of the son are visited on the father, well, that’s not what I call justice. CONCERNING THE return of sportscaster Jerry Remy to the booth as his son, Jared, awaits trial in the murder of his girlfriend: Perhaps charity demands that NESN be given the benefit of the doubt about what the network knew of the elder Remy’s role in the repeated enabling of his son. However, the Globe’s expose of the monumentally sordid circumstances of Jared Remy’s record removes all doubt (“For Jared Remy, leniency was the rule until one lethal night,” Page A1, March 23). Who will be able to watch Remy without being reminded of the unimaginable havoc wrought by his son? Even for crass economic reasons alone, let alone the basic duty of social responsibility that NESN owes the community — and yes, there is such a thing — how can NESN possibly allow Remy to stay on the air? If you’re looking for a tiebreaker, try the redoubtable Dan Kennedy at Media Nation. He has an interesting conversation going on in the comments thread. This entry was posted on Tuesday, March 25th, 2014 at 1:04 pm and is filed under Uncategorized. You can follow any responses to this entry through the RSS 2.0 feed. You can leave a response, or trackback from your own site. One Response to Remy Smartin’ in Boston Dailies? Having the misfortune to have meet Jerry Remy, all I can say is the apple did not far fall from the tree. Jerry should do the decent thing and leave the broadcast booth. I think used cars might be the only thing the Rem-dog has not tried to sell from the booth.